Conor McGregor has been handed a one‑month suspension by the UFC on medical grounds following his defeat to Khabib Nurmagomedov at UFC 229. The Irishman was tapped out in the fourth round of their lightweight championship bout in Las Vegas on Sunday. McGregor's medical suspension for a month comes as no surprise. 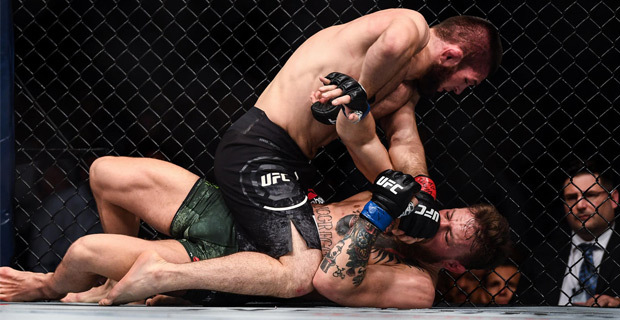 It is standard for someone beaten up in defeat and McGregor took some severe punishment in the second round from Nurmagomedov's fists, before submitting to the choke hold from the Russian, looking exhausted. McGregor has a bigger issue on his hands right now. He has been dragged into the investigation that is looking at the brawl and chaos that erupted after the fight. Initially McGregor had been cleared of any responsibility as Nurmagomedov leaped out of the octagon and attacked one of the Irishman's trainers. McGregor was then a victim of Nurmagomedov 's entourage jumping into the cage and attacking him. But a fresh review of video footage suggests McGregor hit one of Nurmagomedov's trainers when he jumped on top of the cage himself. That's when Nurmagomedov's team went after him and the new view seems to be that McGregor may have started the scuffle that enveloped him. The Nevada State Athletic Commission chairman Anthony Marnell told ESPN that they will be filing complaints against Conor McGregor and Khabib Nurmagomedov.